POMEROY -- Public vehicle access across Lower Granite Lock and Dam will be closed after 10 a.m. on Tuesday, according to operations officials at the dam. Crossings will be allowed from 7-10 a.m. that day; no further crossings will be allowed Tuesday to accommodate contractors using a large crane who will continue work on improvements to the juvenile fish bypass system. Lower Granite crossings are normally allowed daily from 7 a.m. to 5 p.m., except for federal holidays, unless otherwise announced. Tour and school buses must contact the dam at 509-843- 1493 at least 24 hours in advance for crossing authorization; there may be additional considerations for bus drivers during construction activities at the dam. 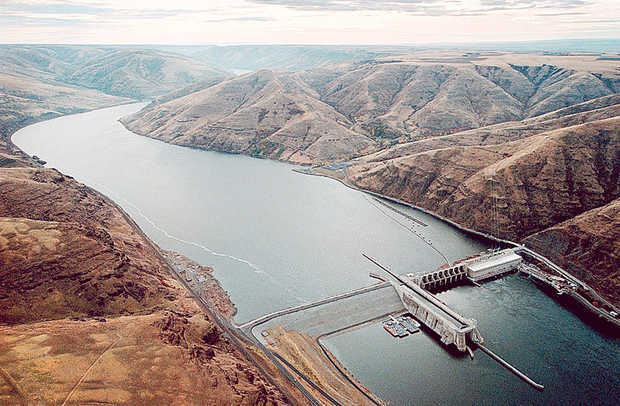 Travelers can call 1-888- DAM-INFO (1-888- 326-4636) for the most current dam-crossing information at all three of Walla Walla District's dams that allow public traffic to cross the Snake River: Lower Monumental, Little Goose and Lower Granite.